For information about Breast Augmentation, Breast Lifts, Breast Reduction (for women and men) or other specified Breast Enhancement procedures, SanFranciscoBreast.com has been completely updated. This update includes new content, and it is illustrated with new breast enhancement videos and more before and after pictures. In addition, the fresh content is wrapped in a new skin, improving navigation for the small screen and the desktop alike. Breast Implants are used both to provide a larger bust and to augment the natural contours of the breast. The primary goal is to improve body proportions and the fit of clothing and bathing suits. Breast Implants can help when the breasts have always been small; however, the loss of breast volume after childbirth is another common reason for Breast Augmentation. What is Breast Implant Capsular Contracture? Breast Augmentation remains the most popular cosmetic plastic surgery procedure year after year. Breast Implants enlarge small breasts, whether you were born with small breast, lost breast volume with weight loss or your children have sucked the life out of your breasts. Capsular Contracture can interfere with good results, but before I explain what Capsular Contracture is, I need to discuss Breast Augmentation, the breast implant pocket and normal healing. Breast Revision Surgery is any surgery on the breasts to repair or improve the appearance of a previous Breast Augmentation. The urgency ranges from completely elective to an emergency. It can be caused by aging, pregnancy, changes in weight, changes in goals or changes caused by the breast implants themselves. Some of the more common reasons for Breast Augmentation Revision Surgery are covered in the video and text below. The FDA requires plastic surgeons to notify their patients that Breast Implants, like most implanted medical devices, are not “lifetime devices.” This means your Breast Augmentation may wear out before you do. On the other hand, there is no expiration date on a Breast Implant. Despite what you may read on the Internet, Breast Implants do not need to be replaced every ten years, though about a fourth of women with Breast Implants will have Breast Implant Revision Surgery in the ten years after their Breast Augmentation. 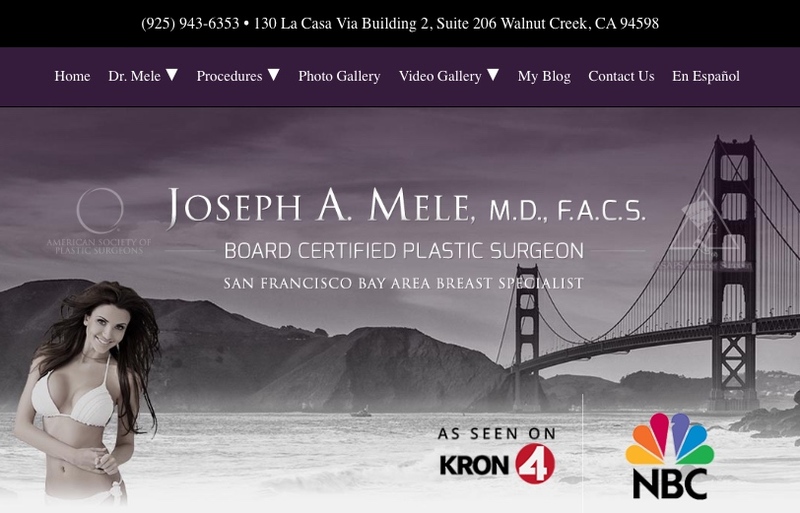 With 20 years of experience with Breast Augmentation and Breast Augmentation Revision, Dr. Joseph Mele is a Board Certified Plastic Surgeon with the ability to get results. If you would like to schedule a personal consultation, give his Walnut Creek Plastic Surgery office a call at (925) 943-6353.